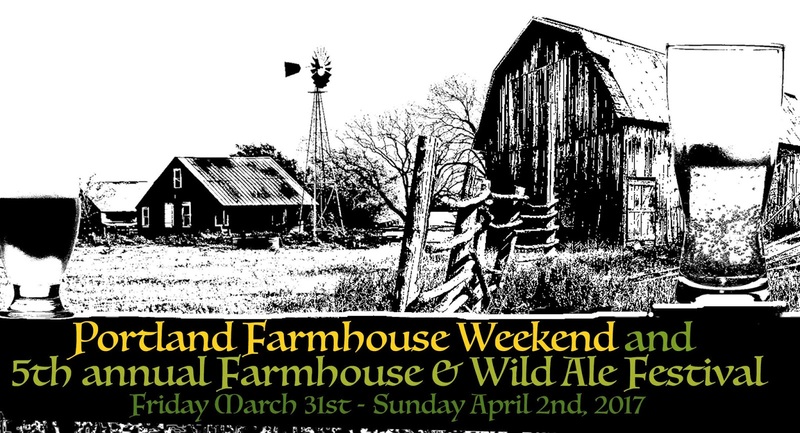 March 31st - April 2nd, 2017 will see the kickoff of the Inaugural Portland Farmhouse Weekend organized around the 5th annual Portland Farmhouse and Wild Ale Festival at Saraveza and co-presented by Point Blank Distributing. Oregon's farmhouse brewers will come together to promote and celebrate the unique culture around U.S. farmhouse brewing that has taken off in Oregon and other regions across the country with events all weekend long including Upright Brewing's 8th Anniversary on April 1st and a weekend brewer meet-and-greet and tap takeover at The Commons on 3/31. Watch the website calendar at http://portlandfarmhousefest.com for more event announcements. 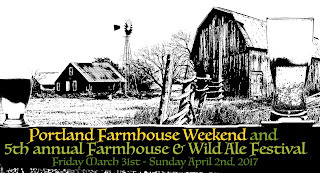 Portland Farmhouse and Wild Ale Festival and the inaugural Farmhouse Weekend celebrate the rustic, working-class, yeast-driven beers that originated in France and Belgium but have had a new renaissance in the United States. Oregon being home to many great farmhouse brewers like Logsdon Farmhouse Ales, The Ale Apothecary, Alesong Brewing & Blending, The Commons Brewery, Upright Brewing, pFriem Family Brewers, Agrarian Ales, De Garde, Wolves & People Farmhouse Brewery, Ruse Brewing, Great Notion Brewing, Culmination Brewing, Yachats Brewing, Reach Break Brewing, all who will be participating in this years festivities. The beer and brewery lineup is not simply limited to local beers though, expect beers and brewers from: Perennial Artisan Ales (St. Louis, MO) Wander Brewing (Bellingham, WA), Engine House No. 9 (Tacoma, WA), Urban Family Brewing (Seattle, WA), Three Magnets Brewing (Olympia, WA), Matchless Brewing (Olympia, WA), Propolis Brewing (Port Townsend, WA), Almanac (SF, CA), Crooked Stave Artisan (Denver, CO), The Buery (Placentia, CA), Blackberry Farms (Walland, TN), Against the Grain Brewing (Louisville, KY), Stillwater Artisan Ales, and many more to be announced. COST: $25 General Admission ticket for a branded glass and 10 drink tickets, additional tickets $1, 4oz pours 1-4 tickets. VIP Session $35 for same glass and ticket combo.